Blankenship's ad says McConnell has created jobs for "China people" and charges that his "China family" has given him millions of dollars. McConnell's wife is U.S. Transportation Secretary Elaine Chao, who was born in Taiwan. Blankenship says the ad is in response to false, negative ads that McConnell's "swamp people" are running against him. Blankenship filed for the Senate seat after serving prison time for violating federal mine safety standards at Upper Big Branch Mine in southern West Virginia, where an explosion in 2010 killed 29 men. He has vehemently denied responsibility for the deadly blast. So far, his campaign has been mostly self-funded. According to his filing with the Federal Election Commission last month, he's received a single $1,000 individual donation since announcing his candidacy late last year. Blankenship previously discussed McConnell during a recent talk radio interview, saying, "I have an issue when the father-in-law is a wealthy China person and there's a lot of connections to some of the brass, if you will, in China." 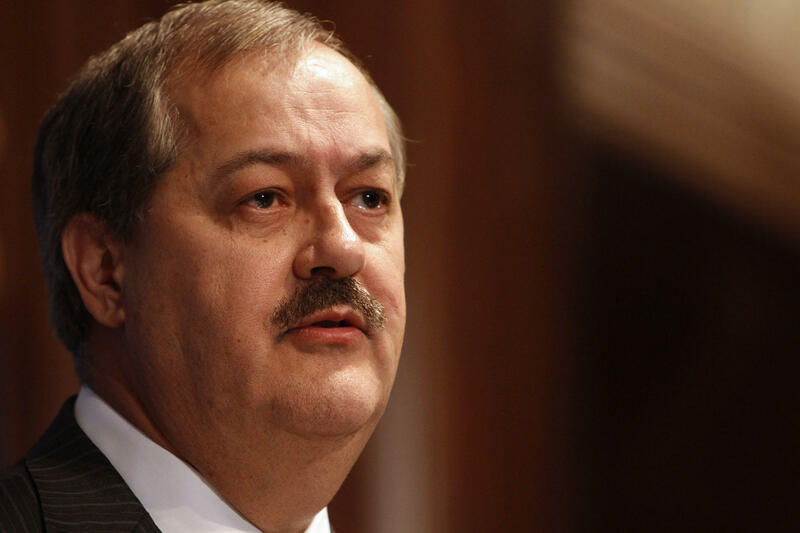 Blankenship was asked about the "China person" comment during a debate Tuesday in Morgantown. "This idea that I called somebody a China person, I mean I'm an American person," Blankenship said. "I don't see this insinuation by the press that there's something racist about saying a China person. Some people are Korean persons and some of them are African persons. It's not any slander there." Blankenship is at odds with McConnell, who he says is "spending millions to defeat me." A super PAC connected to McConnell, the Senate Leadership Fund, blasted out a news release Thursday decrying Blankenship's "last round of racist comments," and pointing to statements in 2009 in which Blankenship mulled a move to China. According to media reports, Blankenship's fiancee also was born in China. He has a six-bedroom home with her 20 miles from Las Vegas, in Henderson, but still has a home in southern West Virginia. "I'm actually considering moving to China or somewhere and being more like George Washington, you know," Blankenship said in the 2009 recorded phone call, which was used as evidence in his criminal trial. "If I can get citizenship, I can probably get citizenship in India. I'd rather be in China, but the hard work and the effort and the creativity that we put into running businesses in the U.S. would be much more valuable in other places." National GOP forces are believed to be behind the Mountain Families PAC, an organization created in March that has invested more than $700,000 attacking Blankenship on television. A spokesman for the Senate GOP's most powerful super PAC has declined to confirm or deny a connection to the group. Blankenship's reference to "Cocaine Mitch" stems from a 2014 magazine article alleging that drugs were found aboard a commercial cargo ship owned by Chao's family. Chao was born in Taiwan and immigrated to the United States as a child with her family. Her father later founded a successful shipping company in New York. Chao worked in the administrations of presidents Ronald Regan and George H.W. Bush. In 1993, she married McConnell and has since served as cabinet secretaries for presidents George W. Bush and Donald Trump. Blankenship said in a statement Thursday that the establishment is doing everything it can to keep Manchin in office. "I am not just ready to help President Trump drain the swamp — I am the only candidate that is capable of doing so. If I am not the Republican nominee against Joe Manchin in the fall, Manchin will win," he said. Trump's son, Donald Trump Jr. dismissed that idea completely Thursday, making it clear he thinks a Blankenship nomination guarantees another Manchin term. He tweeted that there are two electable candidates in the race. Six Republican candidates are in the primary, including U.S. Rep. Evan Jenkins and state Attorney General Patrick Morrisey, who was endorsed Thursday by Kentucky's junior U.S. Sen. Rand Paul. "I hate to lose. So I'm gonna go out on a limb here and ask the people of West Virginia to make a wise decision and reject Blankenship! No more fumbles like Alabama. We need to win in November." Trump Jr. tweeted Thursday. Blankenship responded, tweeting to Trump Jr. that the president's son was "misinformed and misled by McConnell's cronies while you were at the RNC meeting yesterday in Miami." Trump Jr. tweeted a few more times about Blankenship, saying Manchin would quickly mention the Upper Big Branch Mine disaster. "Ha, now I'm establishment? No, I'm realistic & I know the first thing Manchin will do is run ads featuring the families of those 29 miners killed due to actions that sent you to prison. Can't win the general... you should know that & if others in the GOP won't say it, I will," Trump Jr. tweeted Thursday.